Figuring out how to live on maternity pay can be a challenge for many moms. Discover 8 ways to save for maternity leave now while you’re working to make the most of your time! I had what was a pretty typical maternity leave with my first pregnancy: half of it was fully paid while the other half was partially paid. Even with a slightly reduced income in the second half, I’d be able to make the most of my maternity leave. But being pregnant with twins made maternity leave more complicated. I found myself on bed rest a month before the twins arrived. Further complications extended my maternity leave once they were born. And, perhaps knowing they were my last children, I opted for unpaid baby bonding time. Knowing how much to save for maternity leave can feel unpredictable. Maybe you’ve been trying to put money away, but each month, something seems to come up. The money you thought you’d stash into savings ends up being used for a car repair. You may not even get any time fully paid and are wondering how in the world you’ll manage during those several weeks and months. I wanted to feel financially prepared for maternity leave and spend as much time with the twins as possible. My sister reminded me that, while I can always replace the money I’d lose during maternity leave, I wouldn’t be able to replace the time spent with my babies. I’m frugal as it is and had savings, so I knew I wouldn’t starve even in the worst-case scenario. But I wanted to set aside money specifically to tap into during maternity leave. 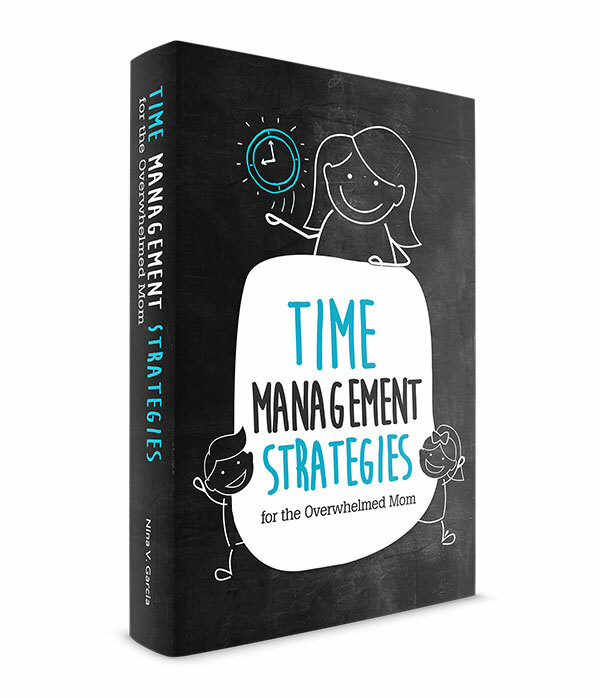 I relied on tried-and-true tactics to manage without feeling deprived, knowing this would be a temporary situation. I’m a fan of paying bills on autopilot—I’m less likely to miss a payment, and it’s one less thing for me to do each month. The trouble with automatic payments, however, is that we forget to ask ourselves whether we need those services in the first place. We also assume we can’t negotiate a better deal, or customize our plans in order to pay less. Think about any bills or plans you can review, downgrade, or outright cancel. Maybe you realize you’ve only gone to the gym twice this month and can better put that money into savings. You can shop for new car insurance quotes to see if other providers offer a better rate. Review all your monthly subscriptions, from delivery boxes to online services, and try pausing them until your maternity leave ends. Only keep what you truly must or can’t change, and pause, negotiate, or cancel those you don’t need anymore. One of the easiest ways to save for maternity leave is to track and reduce how much you spend on food. Don’t eat at restaurants. As enjoyable as restaurant meals may be, they add up, especially when they become a regular habit for how you eat your daily meals. Bring lunch to work every day. Work lunches at restaurants can eat up your budget as well. Instead, bring lunch and eat it at work. Invite a few coworkers so you don’t lose out on the social aspect of lunch time. Plan your meals. Meal planning helps you avoid last-minute shopping trips, impulse purchases, and restaurant meals because you know exactly what to buy. 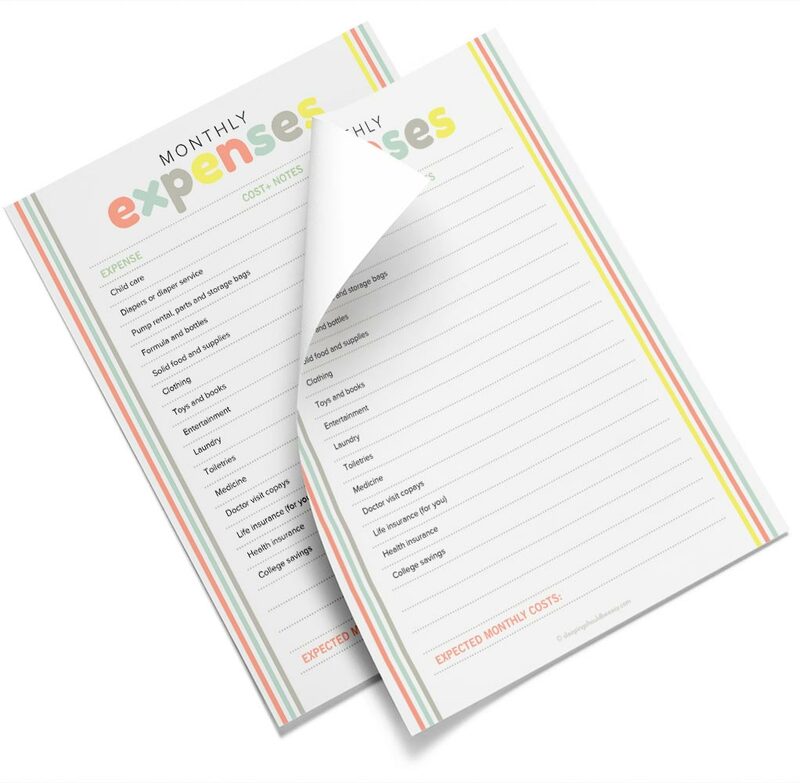 Need a way to organize your weekly recipes and shopping lists? Get my printable meal planner! You’ll have an organized way to record your recipes and shopping lists—no more wasting time or feeling frazzled! Depending on your health and your doctor’s recommendations, you may be able to work up to your due date as a way to stash more of your income. By postponing maternity leave as long as possible, you’re extending your earning time because you’ll be working for a longer period of time before giving birth. Delaying your maternity leave as long as possible also helps postpone other expenses, such as childcare. For instance, you’d be able to hire a nanny or enroll in day care when your baby is three-months-old versus two. Looking for childcare? Get my ultimate list of questions to ask potential providers. One of the ways I was able to extend my maternity leave was by using vacation time I had saved up. Try not to take too much time off leading up to the baby’s arrival so you can save it for after he’s born. Reserve time off for doctor’s appointments or when you need a break, while saving the rest as a way to extend your maternity leave. By using vacation time after the baby arrives, you can continue to earn your regular income on top of your scheduled maternity leave. Get more tips on what to do at work before going on maternity leave. Buying in bulk is a fantastic way to reduce household costs and save the difference instead. You can still buy items in bulk even if your family is small. Simply store these items for when you need them down the line. Avoid buying food items that will go bad. Olive oil can be a good purchase, while two loaves of bread may not. Only buy what you actually use. Just because you see an item at a crazy low price doesn’t mean you’ll actually use it. Stick to items you use regularly. Buy items you use frequently. Have you ever bought a 24-pack of razor blades, forgot all about it, and bought another set? Buying in bulk is best for items you use often so it’s top of mind. Besides saving money, buying in bulk now before the baby arrives will help you save time as well. No one wants to scramble upon realizing you’ve run out of necessities like paper towels, and have to go to the store while holding a newborn. Check out my list of top household items to stock up on now before the baby arrives. Don’t be shy about using second-hand items, whether they’re hand-me-downs from family and friends or used gear at the consignment store. The extra savings you get from buying used can go toward your maternity leave savings. I’ll admit: I didn’t buy everything used—there were several items I wanted to buy new. So how do you find a balance? Make a list of the items you’ll need, then mark which ones should be bought new. This will differ from person to person. One mom might prefer a new mattress but skip new onesies, while another will buy a used mattress but shop for new clothes. The important thing is to decide for yourself which items you’ll want to buy new, and which ones you can find used. Another tip? Have a practical baby shower gift registry. Skip the cute outfits and expensive wooden toys. Instead, choose the basics, from diapers to burp cloths to a car seat. Saving for maternity leave feels more doable since it’s finite: we only need to save enough to last us through our time at home, before we return to work. That reminder is enough to motivate us to up the ante and aggressively save. How? By holding a month-long spending freeze. Challenge yourself to not spend on anything you absolutely don’t need to for one full month. Avoid luxury spending like clothes and movies. And be mindful of less-obvious purchases like new pillowcases or office supplies (go through your junk drawer for forgotten pens!). Even necessities like groceries can be culled if you’re intentional about buying the best deals. A limited-time spending freeze can be just what you need not only to save extra money, but to make you aware of how you spend. Saving can only get you so far. Once you’ve tapped into all you can save for maternity leave, consider making more money as well. One of the best ways to do so is to work a side hustle before you give birth. Your skill sets and interests will be different, but switching from saving to earning mode will open up possibilities of earning income to pad your maternity leave. The benefit of saving for maternity leave is that this period is temporary. You’re more likely to stick to a spending freeze, bring lunch to work every day, and pause subscription services when you know you have an end date. With these tips, I was able to be with my twins as long as possible without dipping into my savings. I watched how much I spent on food and used vacation time to extend my leave. I bought in bulk and welcomed all hand-me-downs that came my way. Because it turns out, my sister was right—I’ve been able to replace any money I may have lost during maternity leave. I’m so glad I made that choice, especially since I can never replace the time I spent with my babies. 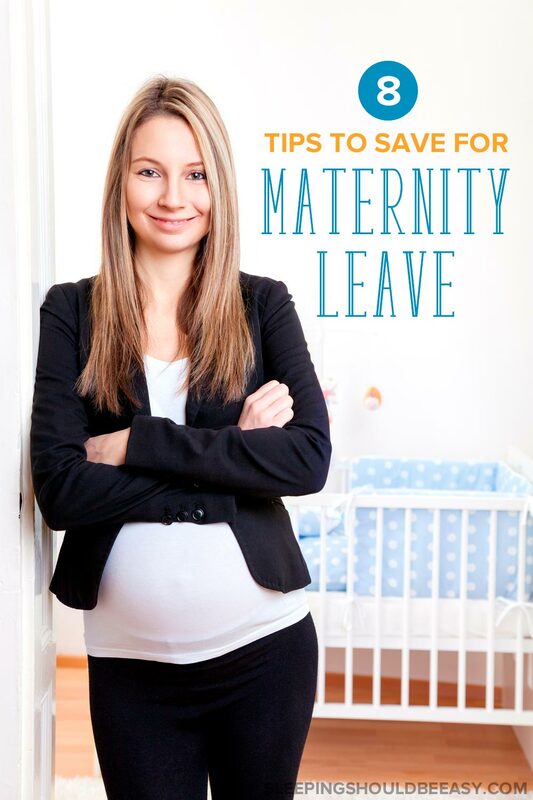 Tell me in the comments: How did you save for maternity leave? Hey Lorrin! No, I haven’t heard of it, but that sounds cool! Definitely a practical gift moms can use. And that’s so awesome that your school friend started it, too! Thanks so much for sharing with us!